If you went by the maps available today your smartphone, you’d probably think the era of paper maps went out with the Rubik’s Cube. But the next time you’re in a garden or park, you might come across a group of volunteers huddled around an 11×17 black-and-white printout, hopelessly trying to verify what should be where, clumsily marking it up with pencils and colored highlighters. Their work trails back indoors where it adds to a pile of similar maps that have to be verified (or interpreted?) before changes are put into the data base by a staffer. They are often printed out again and verified for accuracy. 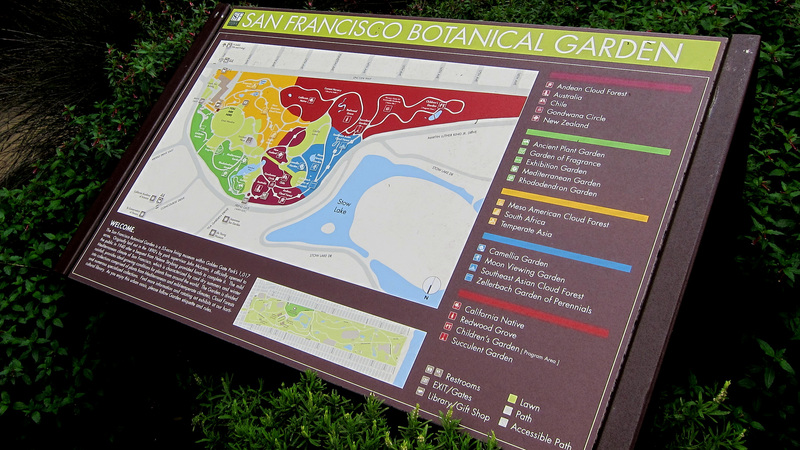 A typical paper verification map, SFBG. 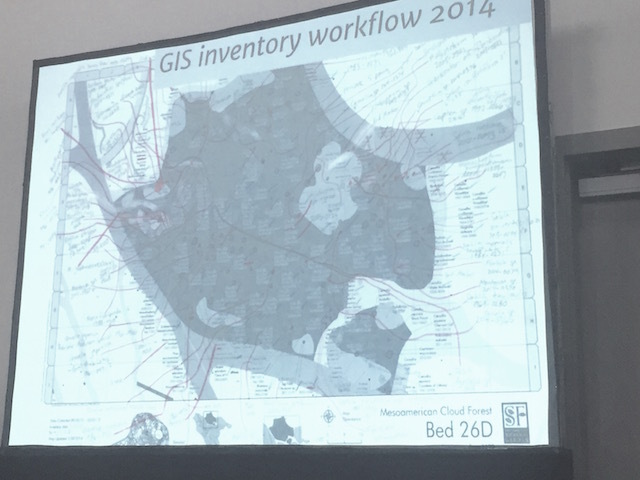 That’s why around 40 people from zoos, gardens and parks from around the world came to a recent talk to hear how Steve Gensler, GIS manager of the San Francisco Botanical Gardens, and Veronica Nixon of the Desert Botanical Garden in Phoenix are using Collector for ArcGIS to maintaining botanical garden plant records at the ESRI User Conference.